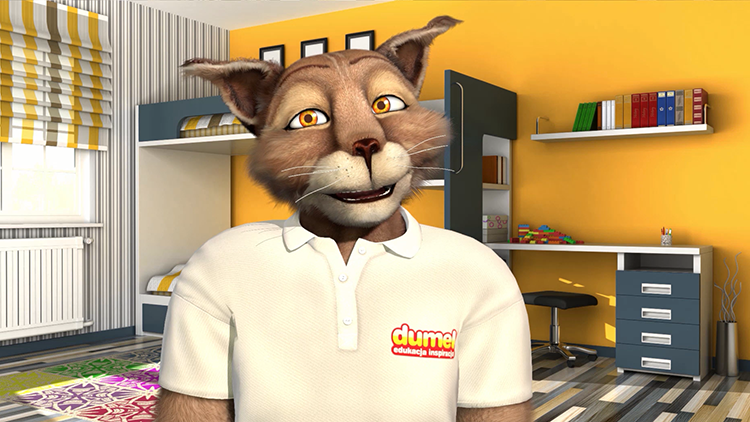 Dumel as an innovative Polish company decided to make a pioneer step in toy marketing and to create a virtual, animated, fully interactive ambasador of his brands. Cooperation with Virthu was a natural choice. We brought to live Dumel’s Mascote – Dumoryś! Dumoryś is a lynx. He's a husband and father of two, a grown-up guy. But when it comes to toys - he sinks. He loves playing toys with his kids. He is a great dad and a toy maniac what makes him the perfect ambasador of the toy company. We created the character from scratch basing on the client's logo. 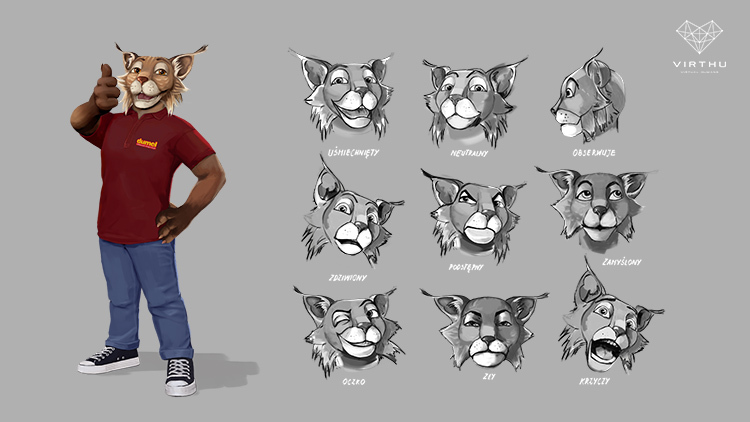 The process involved creating the character story and background, concept art, 3D model with fur and interactive Virthu representation. 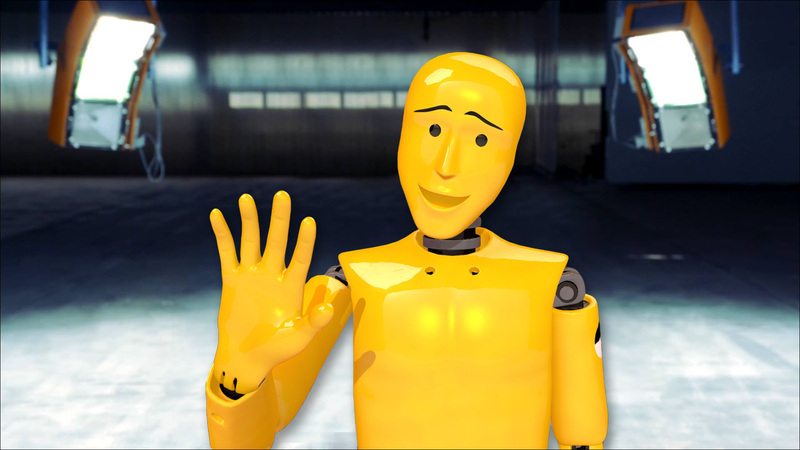 For the 20th anniversary of Continental Poland we delivered a digital version of a crash test dummy to serve as a special guest and a stage host of the whole corporate event. His role was to speak about a new project by Continental in which he was involved as an experienced car accident expert.